Recently, the mother of my next door neighbor passed away. While her passing was not unexpected and she needed constant care at a frail 92 years old, loss always hurts. But much as we mourn the death, I think it's equally important to celebrate a life well-lived. 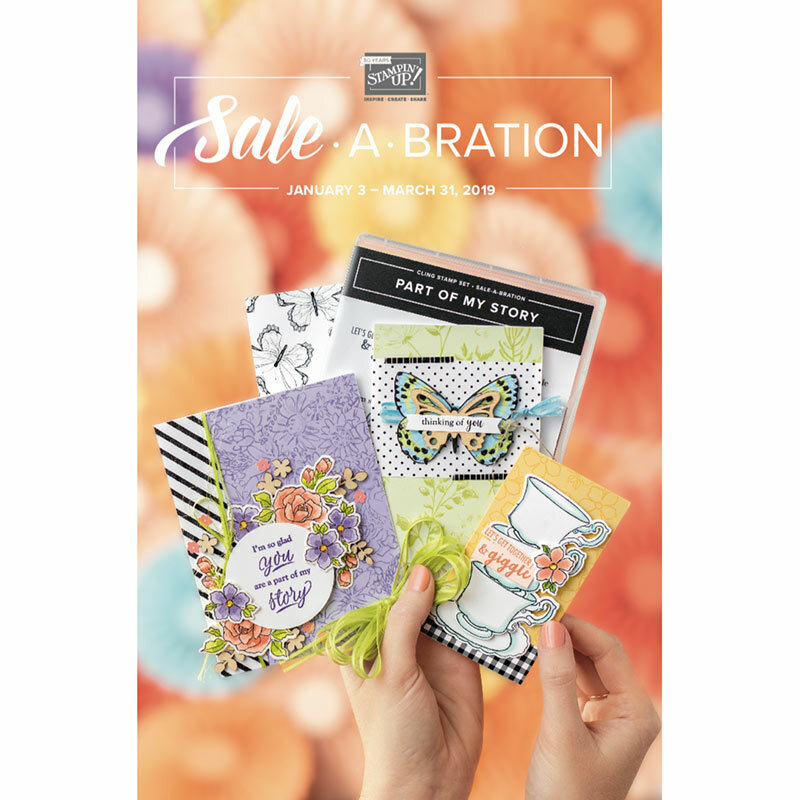 That is why I chose to use my favorite bright and beautiful paper ("Chantilly" by Close To My Heart) as the base for this tri-fold shutter card. 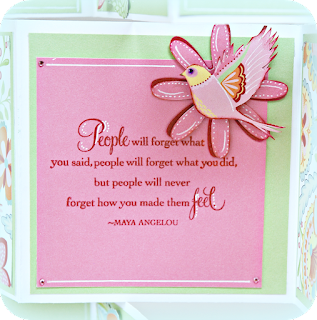 We R Memory Keepers Envelope Punch. Isn't this center sentiment nice for any occasion? 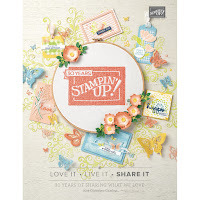 It is also from Close To My Heart and it is called "Scrapbook Sentiments - Poets". 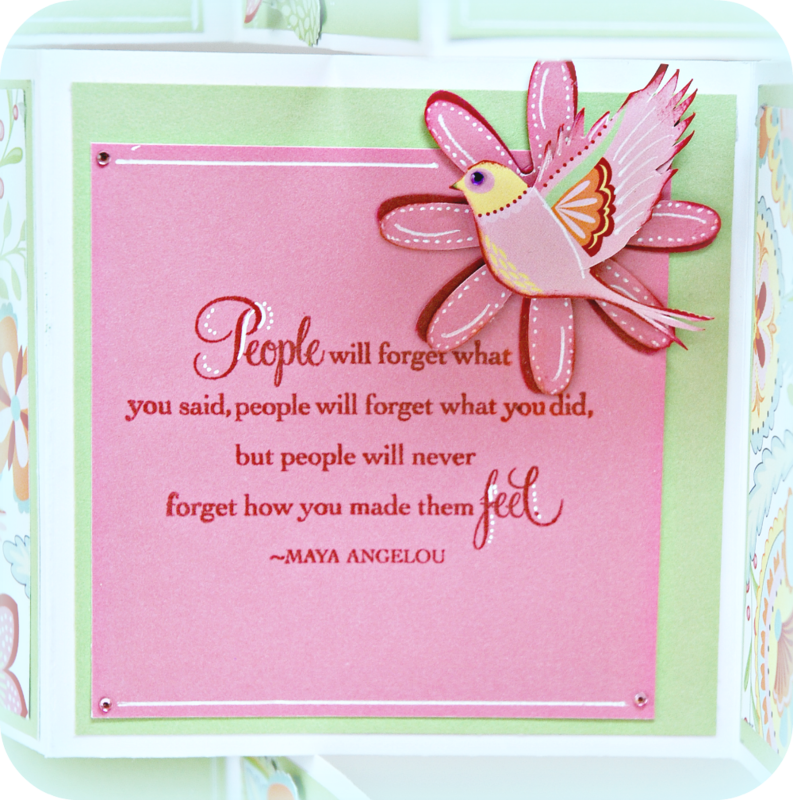 I like that the type font is the same as the "Sorry for your loss" sentiments stamp ("4 My Friend", sold separately also by CTMH). 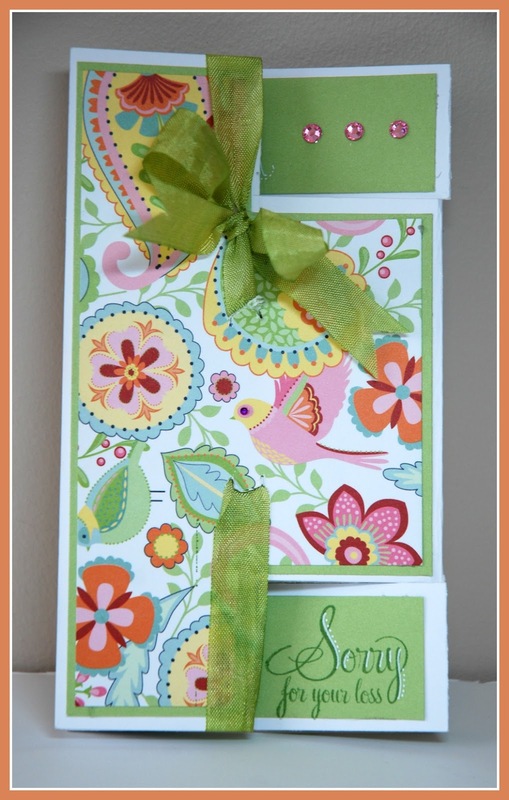 I embellished the card using CTMH gems, and fussy-cut birds and flowers from the Chantilly cardstock. 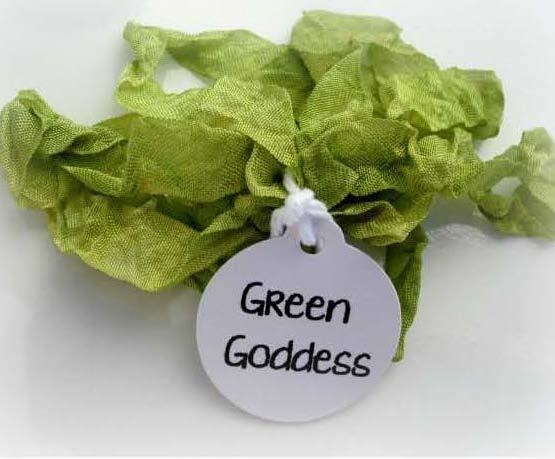 The beautiful ribbon that perfectly matches the Pear CTMH green cardstock is called "Green Goddess" and is Rumple Ribbon by Lovebug Creations. It is part of the "Heaven and Earth" Collection; click HERE to order your own! How pretty!! I love the colors you used. Those papers are gorgeous!! Ellen, this is a stunning card! I love the colors! Beautiful Card Ellen I'm beginning to love this paper. Ellen!!! This is just amazing! 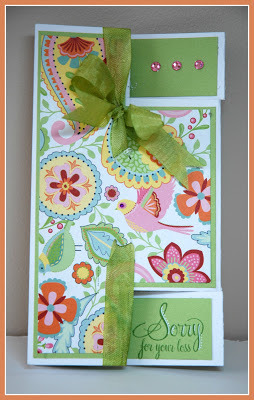 I really love the trifold shutter card and the colors you used are so pretty! I'm in the middle of trying to also organize my ribbons so I am totally inspired by you to finish! I love this idea of organization! And your card is so festive and bright! !